I was walking up way past the San Pedro Market in Cusco, Peru when I see these two people close to the bridge looking intently at some leaves. I see or think they are Coca leaves. 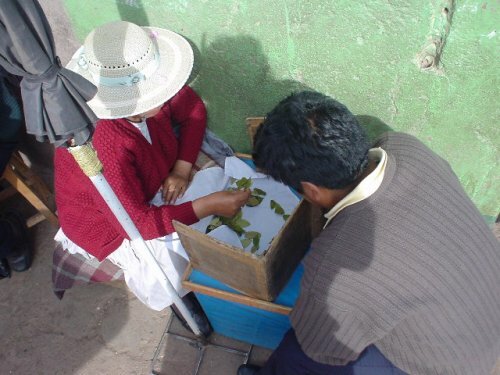 I asked if it was ok to take a photo, I believe she was reading the Coca leaves for the man. They throw them and arrange or then look. 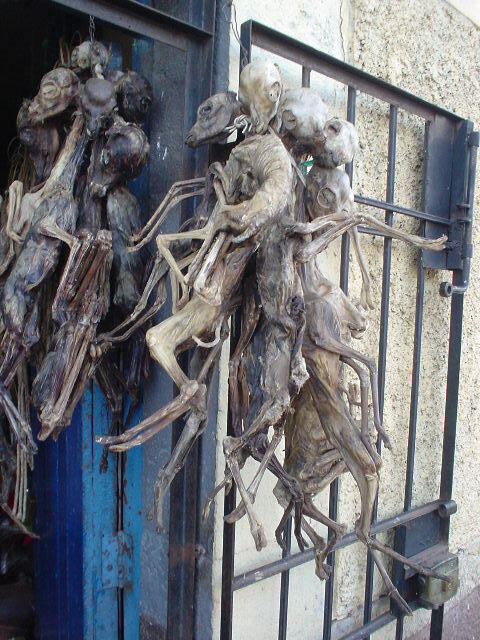 This is a few skeletons of animals in a folkloric shop in the same area, it where the sell Coca leaves close to the big San Pedro market away from the square further.